Fredericton, NB (April 2, 2019) – Routinify, a Fredericton, NB and Denver, CO headquartered technology company, today announced the public launch of its smarter living platform in New Brunswick. The platform combines easy-to-use technology, accessible through smart displays and wearable technology, to provide seniors, as well as their families and caregivers, with real-time data on their health and wellbeing. Routinify was born out of necessity when Pat Kelly, Routinify’s President and CEO, began caring for his aging mother. That process uncovered a number of challenges including navigating the in-home care plan and timely communications with family members who lived out of town. Kelly saw that the care was scheduled by time, not by routinely assessed and changing needs. 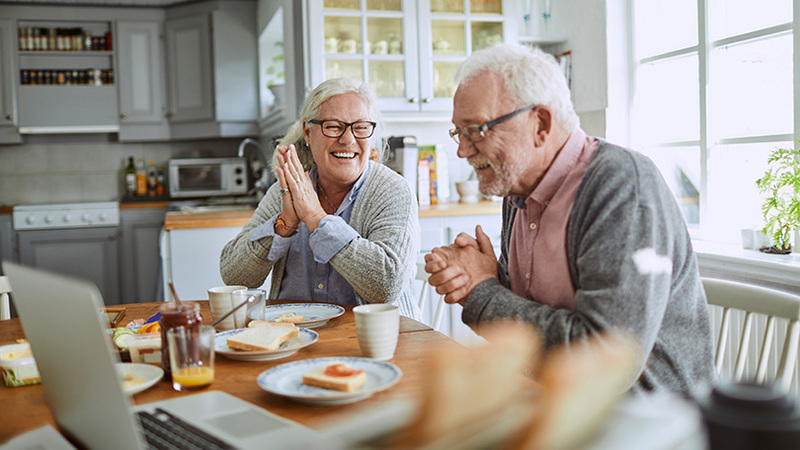 Routinify’s WellAssistTM platform offers a suite of services that run on hardware from partners such as Amazon, Garmin, FitBit, Omron, Nymbl Sciences and more, all specially designed to make it easy to use for seniors. The platform’s features include a dashboard that provides reminders, caregiver Check-Ins, encourages engagement, and provides opportunities for involvement from within the care circle. As Routinify launches widely across New Brunswick, its first clients have already experienced its positive impact and seen its potential. This sentiment is echoed by Teena Canavan, owner and manager of Wellness Connections, a home care organization based out of Ste. Anne’s Court, a retirement community in Fredericton. Canavan has been working with the Routinify team as they’ve prepared their launch and sees the benefits for her clients both within a care facility and for individuals in the community. Monthly subscriptions for Routinify are now available in New Brunswick and Colorado with plans to expand into other jurisdictions in the coming months. Routinify was founded to help aging people live safe, healthy and happy lives. Routinify’s WellAssistTM platform and products empower people living at home or in assisted care facilities by employing easy-to-use wearable technology and smart displays to monitor and assess things like mobility, heartrate, hydration and social engagement while also serving as a reminder to the aging person to take their medications. This information can be shared with families and caregivers to provide a 24/7 view of an aging person’s health and wellbeing. To find out more, visit www.routinify.com.